"Careful, Paco! I'll be back in power some day!" I believe it was friend and commenter Bruce who hilariously wrote that buried in the ground up to his neck was a good look for Brennan. Only thing missing is a pot of honey and a jar full of ants. 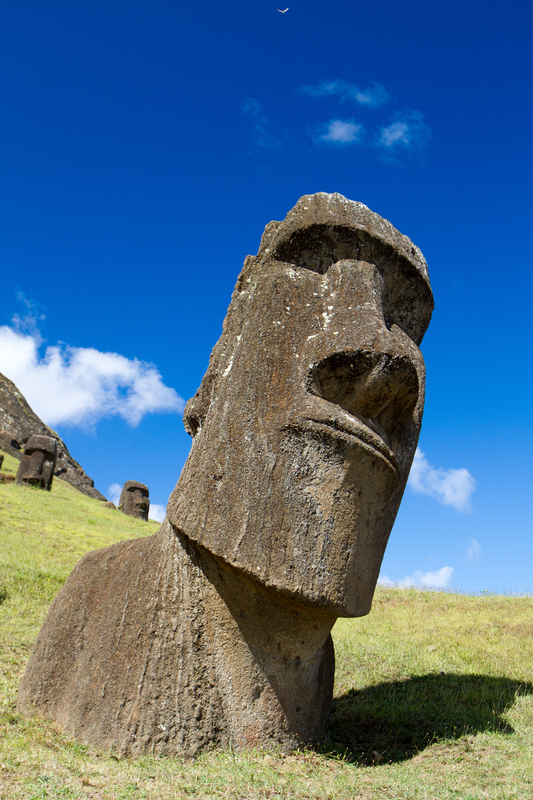 Also, the moai has the appropriate Brennan expression of "You kids get off my lawn!" Oh yes. I may have been thinking of an Islamic stoning.